Email marketing tools: how to use Mailchimp & Campaign Monitor? Email marketing is a great way to grow and promote your business and establish a relationship with (potential) customers. At the heart of email marketing lie two seemingly contradictory features: you'd like to email many people at once, but with messages that are as personalised as possible. With email marketing tools, you can. They combine the efficiency of emailing big volumes of recipients with all of the targeting options that strongly increase the chance your emails actually get opened or clicked through on - and consequently, get your brand known or your products and services sold. Email marketing tools are omnipresent, but there are two platforms that stand out for small to medium-sized businesses: MailChimp and Campaign Monitor. On top of all that, they both offer additional features to take your email marketing to the next level. Which one should you pick? Let’s have a look at each specific email marketing tool, so you can make an informed decision. 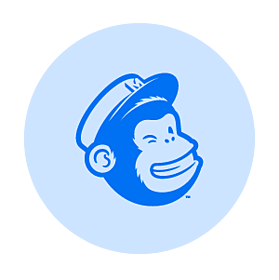 An established name since 2001, MailChimp offers many cool, easy-to-use templates and a very handy mobile app. MailChimp also has a free plan, making it a great option for any small to medium-sized business. Customisable signup forms: generate a signup form to embed on your website. Use the available design options to make your form memorable and tie in with your visual brand identity. Subscriber popup form: create another customisable form if you’re promoting special offers. This form pops up once people visit your website and entices them to join your list and receive updates from you. Facebook form: add a signup form directly to your Facebook page. MailChimp Subscribe: use this app to collect in-person newsletter signups, for instance at events and in local stores. Go to lists and create your first mailing list. Upload email addresses manually or import them from your CRM. Integrate MailChimp with Teamleader and upload all contact information in a flash. Build your first newsletter with Campaigns > Campaign Builder. Choose the right audience and template or create your own design. Read, test and optimise before you send your mail to your contact list. Automate your communication following on certain actions. Instead of sending new customers all your tips manually, why not set up a campaign to help them get to know your product or service a little bit better. Another - maybe less fun - example: bad payers. Automate your payment reminders and reduce the amount of time you spend on writing and sending all those emails manually. Using marketing automation, you’ll never miss the opportunity to get in touch with each new contact individually. You define which action a visitor has to complete to start your email campaign automatically. Marketing automation is also very handy if you have a webshop. For instance, you can send automated reminders to visitors who added items to their shopping cart, but didn’t proceed to pay. You could also automate order notifications, informing new customers of their successful purchase. Combine your marketing efforts for email and social media and use MailChimp to place ads on Facebook and Instagram to reach a larger audience. This enables you to show ads to your own list of MailChimp subscribers, people with similar interests or demographics or discover new audiences based on criteria you choose. Although no free plan is available, Campaign Monitor’s pricing structure starts low enough to suit every budget. On top of that, their list of third-party integrations is huge so you can perfectly customise the tool to your company’s needs. Go to Campaigns > Create a new Campaign. Design an email with a ready-to-use template, import your own HTML design or just use plain text. Choose your recipients. If you have no lists yet, you can import a file. Integrate Teamleader with Campaign Monitor to import your contacts easily. Review the snapshot and test your campaign. Send your email now or schedule it to send later. Contact details are gathered through your signup form, which starts with a name and email address. You can add up to 50 more custom fields to your subscriber list to make your emails as personal as possible. For instance, starting your greeting with someone’s first name has now become the standard. Think about more personalisation possibilities and use custom fields to make it happen. While grouping your subscribers based on lead sources is a good example of list segmentation, you can even go beyond that, with behavioural segments. For example, you may want to group all subscribers who have purchased a specific product, or those who’ve checked out your newest feature. Simply segment subscribers based on their behaviour, which creates the perfect opportunity to tailor your content to each group. To come up with a segmentation system tailored to your business, Campaign Monitor recommends the help of a developer. We already revealed that CRM could provide the perfect basis for your email lists, so why not use Teamleader CRM? And there’s much more! Take a tour to discover all the benefits of Teamleader CRM. 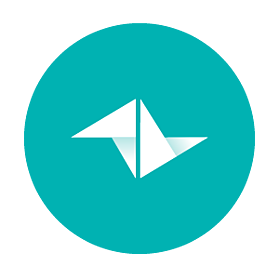 Teamleader integrates with MailChimp, Campaign Monitor, Mailjet, MailPlus and more. Those integrations enable you to base email lists on existing segments in Teamleader. 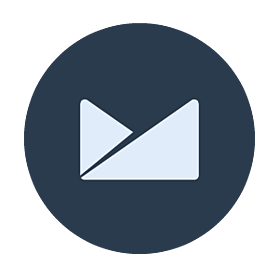 Import all your contact information easily to the email marketing tool of your choice and set up your first campaign right away. How to set up the integration with Teamleader? Log in to your Teamleader account. Click your name in the top right of your screen and click ‘Integrations’. Congratulations, you have now entered the Marketplace, where you can find all Teamleader integrations. Go to ‘Explore’ and find ‘Email Marketing’ in the left hand overview. Here, you get a list of all available integrations with email marketing tools. Select the tool you plan to use and choose ‘Add’. All set! Are you ready to rock your new email campaign? Try it out yourself. You can start a free 14-day trial with Teamleader.